For the 9th year celebrating International Chowder Day, Duke’s Chowder House will be distributing complimentary bowls of award-winning All Natural New England Clam Chowder to Veterans at all six restaurant locations. The event supports the Seattle Veteran’s Hospital. Veteran's Hospitals got my father back to functioning normally. Thank God, and bless the doctors for helping him to heal. My heart goes out to each and every veteran. On November 10, 2016 from 11 a.m. to 11 p.m., all six locations of Duke’s Chowder House will be serving complimentary bowls of their award-winning All Natural New England Clam Chowder to veterans to celebrate International Chowder Day and bring the greater Seattle community together in honor of military troops—both active and retired—and their families. All other guests pay $1 for a small bowl. Duke’s matches every dollar and donates the proceeds to Seattle Veteran’s Hospital, part of the VA Puget Sound Health Care System. 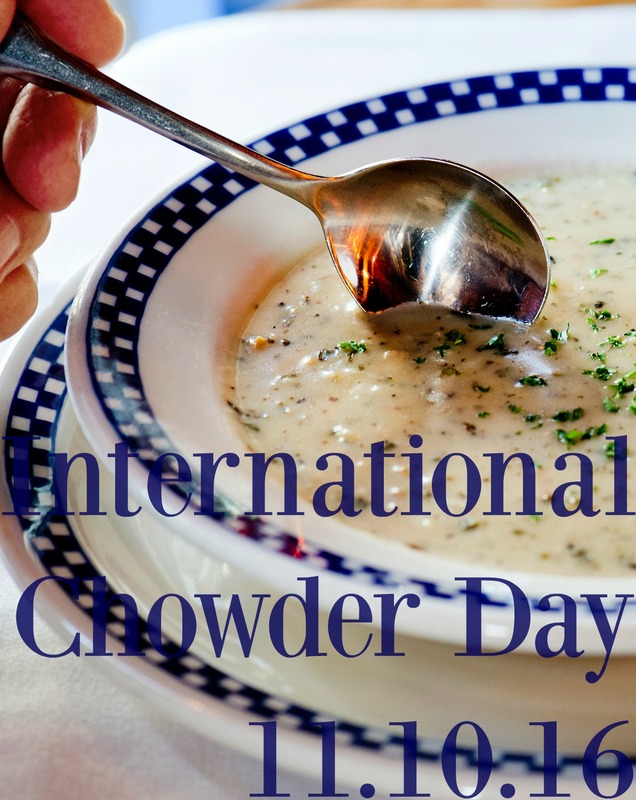 Designated as International Chowder Day by the 2008 Mayor of Seattle, Greg Nickels, this year will mark the 9th annual celebration. The event seeks to raise awareness for the plight of American veterans, recognize their multitudinous sacrifices, and continue to honor their years of service. 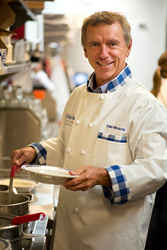 Duke Moscrip; his son and business partner, John Moscrip; and Chef “Wild” Bill Ranniger are pleased to share their signature dish with regular patrons, chowder enthusiasts, and veterans alike. This dish sets the gold standard for clam chowder, winning over the judges and People’s Choice Award for three years straight at the Seattle Chowder Cook-Off. Duke’s Chowder House is a family owned and operated enterprise with six different locations throughout the Puget Sound region. 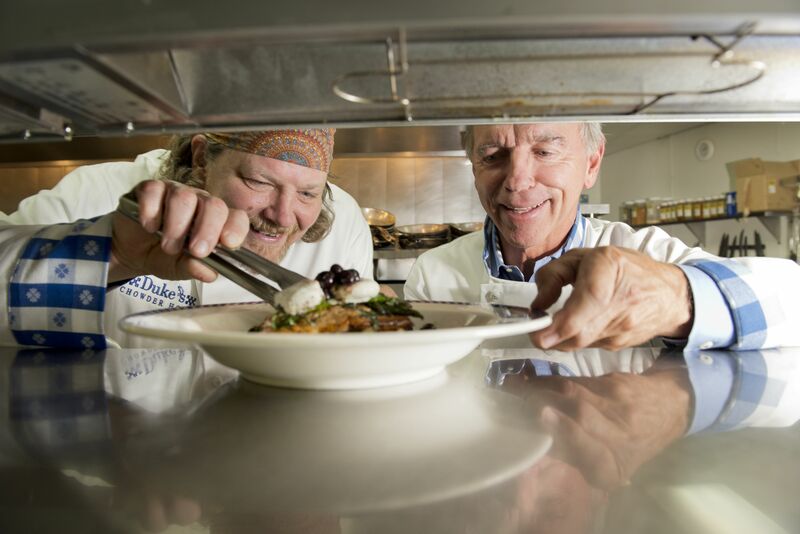 Renowned for its Award Winning Clam Chowder, Duke’s menu is filled with delectable seafood dishes crafted by Duke and Duke’s very own Executive Chef “Wild” Bill Ranniger–a proclaimed culinary genius in the region. Founder and Owner Duke Moscrip – together with his son and partner John Moscrip – continue their passionate journey to source all wild, natural, healthy and fresh tasting ingredients. Duke’s food is free of hormones, antibiotics and harmful chemicals. Duke’s is an upscale, casual Pacific NW seafood concept offering signature, flavorful, 100% sustainable wild seafood, Award Winning Chowder and grass fed burgers. Guests sum up their favorable assessment of what Duke’s Chowder House has to offer with three words: “It’s sooo good!” Duke’s is honored to have received the highest seafood restaurant rating in the State of Washington by Fish2Fork, a leading evaluator of worldwide seafood restaurants, garnering a 4.5 out of 5 (no higher rating in the world). Duke's is equally honored to be among the first restaurants in Seattle to be recognized with a 100 percent volume compliance sustainable seafood rating from Smart Catch, a program designed to promote sustainability and raise consumer awareness regarding sustainable seafood options. Learn more at http://www.dukeschowderhouse.com/.